Tuesday 13 – Saturday 17 October 2015. Fresh from their sell-out hit shows Midnight Tango and Dance ’Til Dawn, Strictly superstars Vincent Simone and Flavia Cacace have created their most moving production yet as the pair prepare to dance in their final ever theatre show. 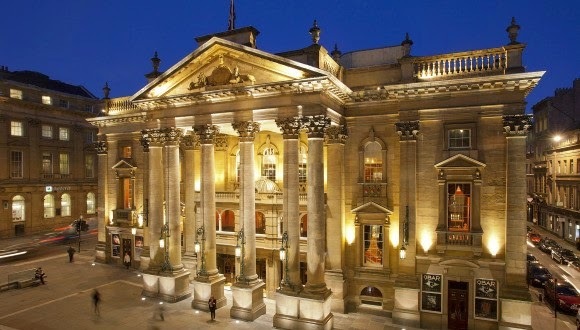 The Last Tango is coming to Newcastle Theatre Royal Tuesday 13 – Saturday 17 October 2015. Vincent “The last few years have been amazing – we’ve loved it. It may be our final theatre tour but we’re going to go out with a bang! This is going to be our best show yet!" The Last Tango is at Newcastle Theatre Royal Tuesday 13 – Saturday 17 October 2015 (Evenings 7.30pm, Matinees: Wed & Thu 2pm and Sat 2.30pm).